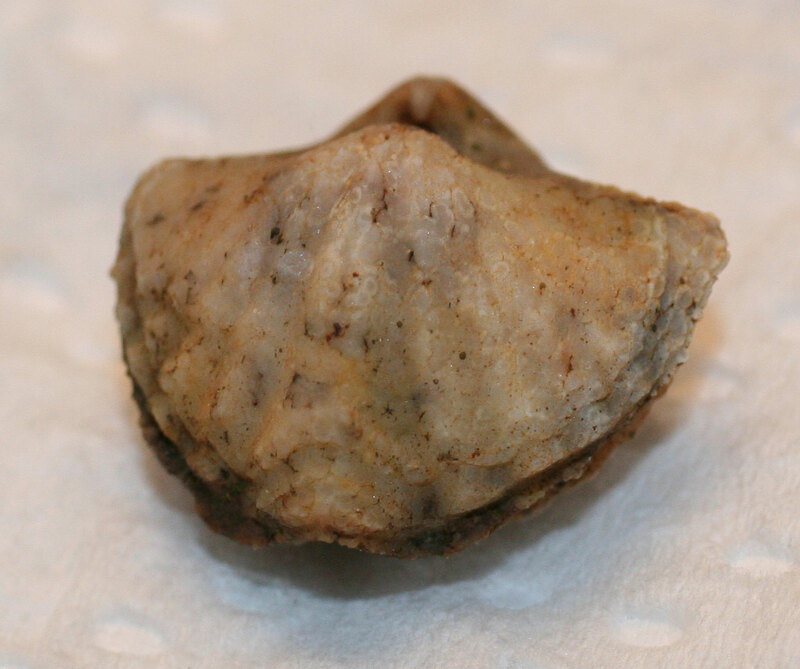 This brachiopod is an index fossil for sections of the Jeffersonville Limestone found around the Louisville, Kentucky area. 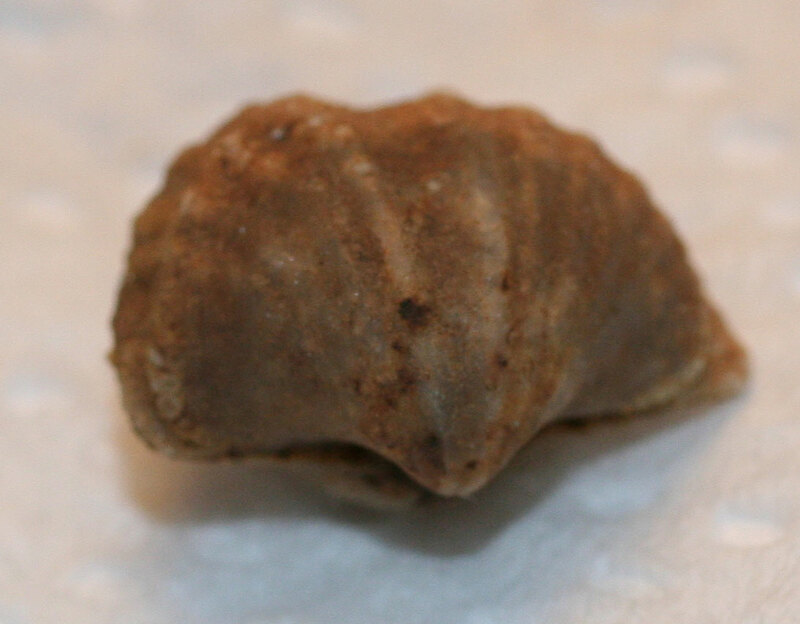 It is difficult (at least for me) to find intact ones. 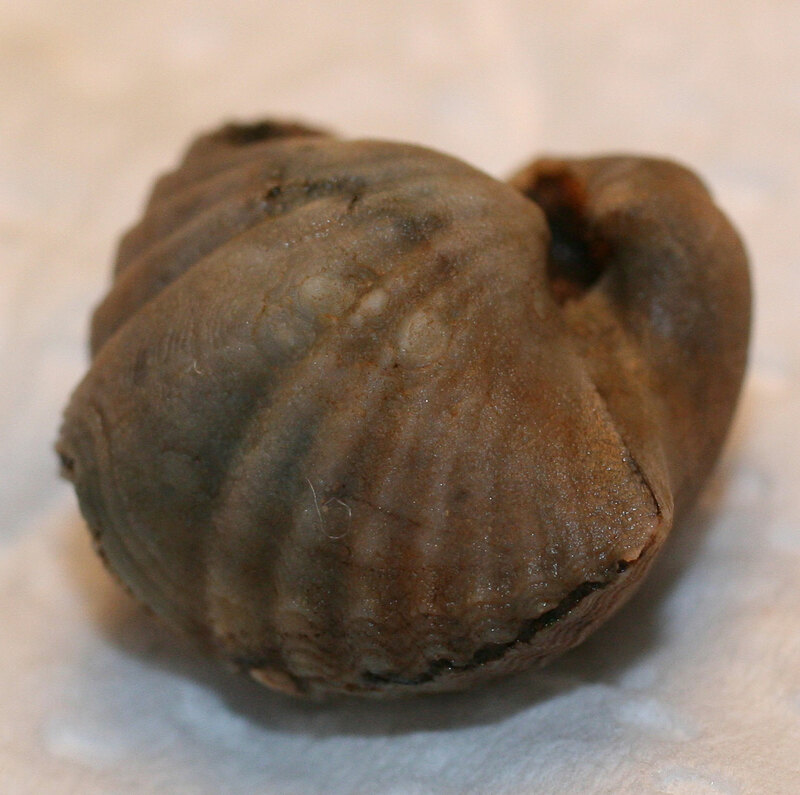 Here are pictures three of the Brevispirifer gregarius dated to the Middle Devonian Period. 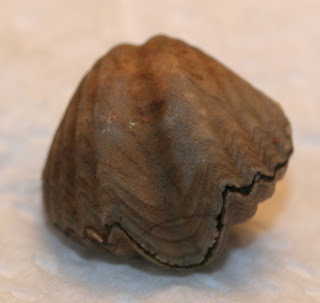 All brachiopods are less than 2 cm long and 2 cm wide.